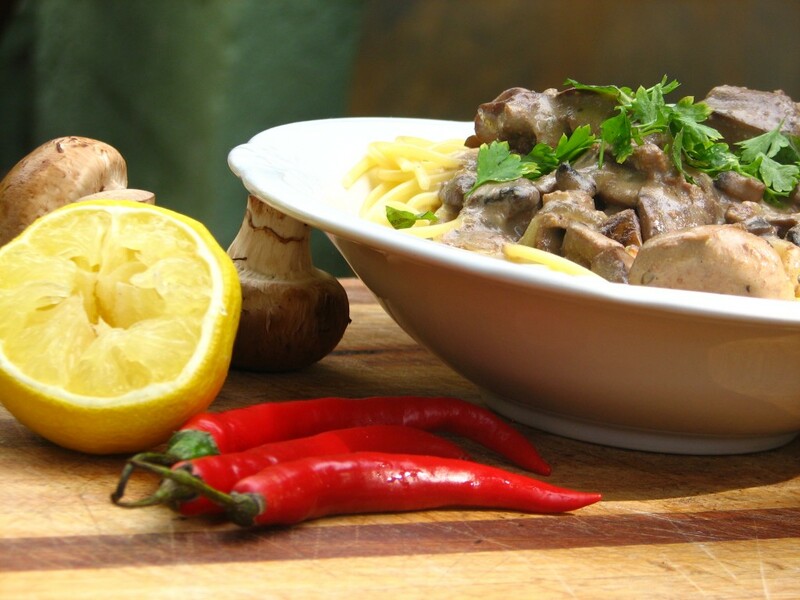 Chicken livers cooked in a creamy mushroom sauce served on top of al dente pasta is a wonderful, easy weeknight family meal. 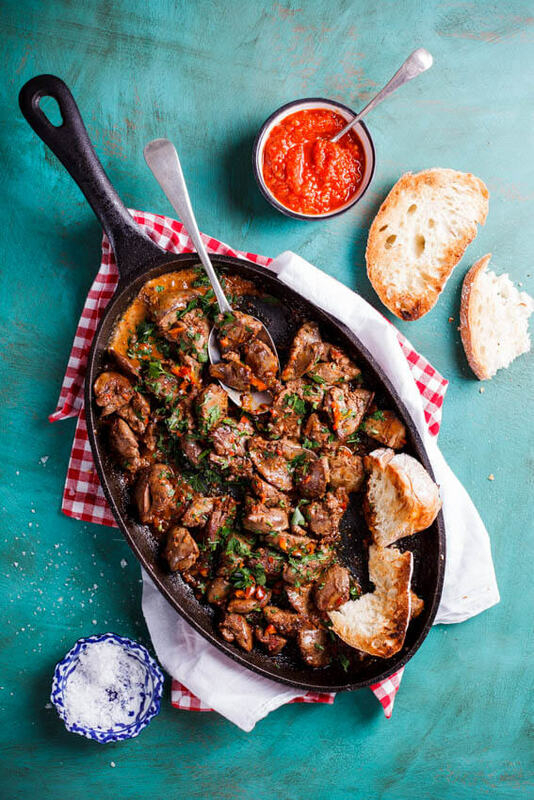 I LOVE Chicken Livers, they are quite a regular in our household but they are usually done in the truly South-African way, in a Peri-Peri gravy and served with Fresh Breadrolls and lots of butter. However, this week I though I’d do something different with them and decided to make a Pasta sauce out of them. I just kind of tossed a whole lot of stuff together and the outcome was one of the nicest pasta sauces I’ve ever tasted. IN a large, hot frying pan, fry the Chicken Livers until brown and almost cooked. Remove from pan and set aside. Wipe the pan clean and add more oil. Fry the onion and garlic until soft and add the mushrooms. Sautè for another 5 minutes and add the Sherry. Allow to reduce a little and add the cream. Return the Livers to the pan and add the seasonings. Allow to cook for +-10 minutes on a low heat. Mix the Maizena and soup powder with the milk. Turn the heat up and add the Maizena mix. Allow to thicken and serve over cooked pasta of your choice. Hi, this sounds delicious, I can’t wait to try it. I had never heard of Maizena but looked it up and found out. What soup mix do you add as it’s not listed in the ingredients and how much do you add? Thanks, Julia. Nicole, the Woolies ones are very nice and clean and usually very fresh. But what a nice idea using chicken and feta! Hi Alida, just made this recipe. Unfortunately my livers wasn’t so … umm, nice. Shouldve bought them at Woolies. Anyway, so I used chicken and sprinkled some feta over when I dished up. Perfect. When I have enough courage to try and cook with raw livers again I will defnintely try it again. Or get someone to cooked it for me. 🙂 Thanks! Lve your blog! I once went through a chicken liver phase…I would have them all the time. Then I got bored as I ran out of ideas. 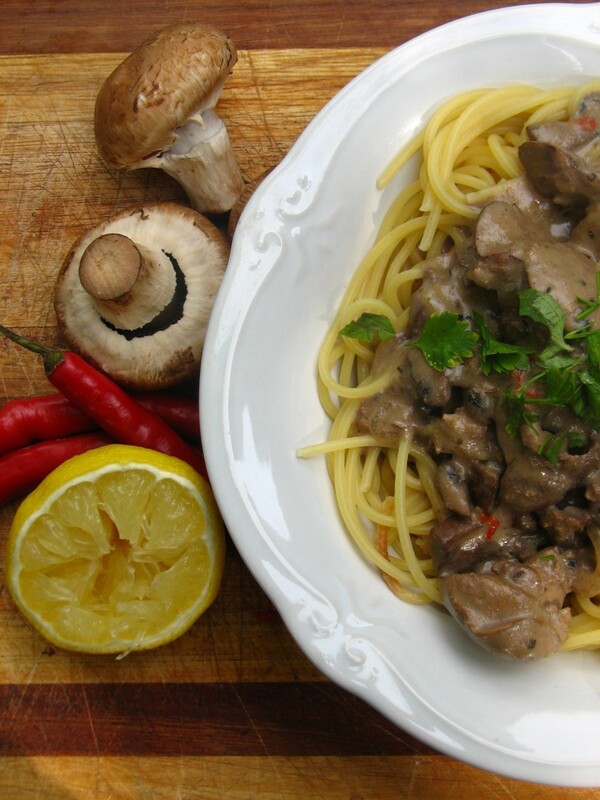 When I discovered this recipe it not only resurrected chicken liver for me, but pasta as well. 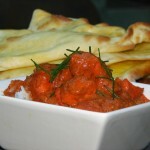 It is yummy, inexpensive and quite quick. Your recipes look divine! Going to make the Curried Chicken Bake on Wed.
Those are NOT Portabello(a) mushrooms – but I DO share your love of chicken liver sauces – have been playing with them for many years dating back to our honeymoon many years back at a restaurant/hotel called TresAnton (or something like that) in St Mawes. Cornwall. Greetings from Port of Spain. What a delicious recipe! I am going to try the peri-peri chicken livers too, as I am a total liver lover! Mmm, like a liver stroganoff. Nice to see more proponents of organ meat! i’ve never cooked with chicken livers before but this looks really good! do you also have a recipe for the peri-peri gravy you mentioned? sorry to hear about the photo plagiarism. Becky : I don’t have an actual recipe, what I normally do is fry the livers and then add 2 tins of chopped tomatoes, a squeeze of tomato juice, seasonings and lots of chillies. TinyTearoom: That sounds horrific! I don’t blame you for not wanting to eat them while you were younger. They are one of my favourite things to cook with as they are so versatile and in South Africa, ridiculously cheap! Paige : I have to be honest, I’ve only ventured as far as chicken livers…no other organs just yet. Although my uncle makes the most amazing spicy kidneys! I was force fed chicken livers when I was growing up. I didn’t eat them for a long while in my young adult life. But I now appreciate them so much. 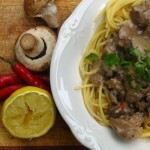 One of my favourite bolognese recipes has chicken livers in it. It gives the sauce a succulent and rich texture and taste. This dish looks awesome! Is this not Jamie Olivers recipe as i just saw the same menu and pictures on his website. That would be very strange since I took that photo in my garden lol. I also haven’t seen his recipe before but it could be that it’s similar. I’ll go have a look now quickly. Thank you so much for notifying me! 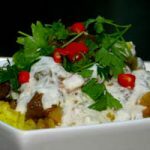 That recipe was added by a member on his site and it’s MY photo and MY recipe. Can you believe it? I wonder how I could go about taking on whoever did that!